Though not used in excess just a touch of green chilli is enough to make the dish spicy. Green chilli usually blended with ginger and garlic, is very popularly used as masala in Indian household. Savory dishes find the most use of green chillies in curries, breads, meat dishes and stir fries. 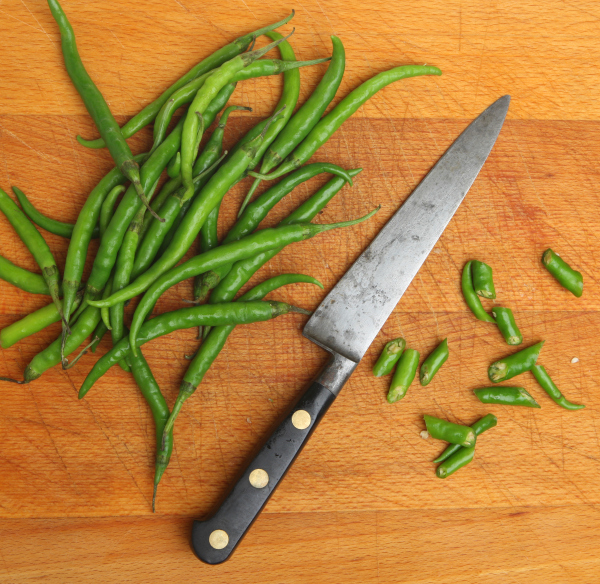 Tempering or tadka used in a variety of dishes is incomplete without green chillies. A spice mix called green seasoning added to curries uses green chillies along with a tweaked salsa recipe. Note: Always choose crisp, green, unwrinkled chilli. If you’re looking for only a hint of chilli, add deseeded. Be careful while using the seeds, they can cause a burning sensation if hands are not washed properly. With a spicy bite, these fresh products are high in vitamins A and C.
Green chillies are high in potassium and iron content. Contrary to the popular practice, water doesn’t relieve the burning sensation of green chilli, milk or milk based products do.